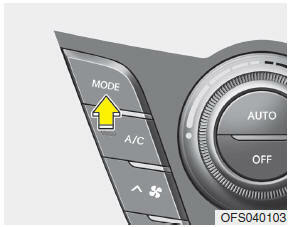 This allows you to set the unit of the distance and the temperature to the celsius and the fahrenheit on your navigation system. 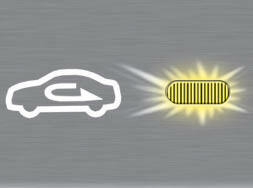 - Units: Change the unit between the “km” and “mls”. 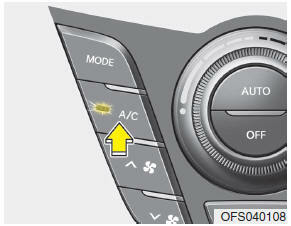 - Temperature: Change the temperature between the “C” and “F”. 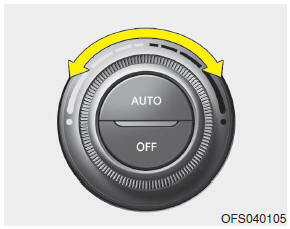 The fan speed can be set to the desired speed by turning the fan speed control switch. 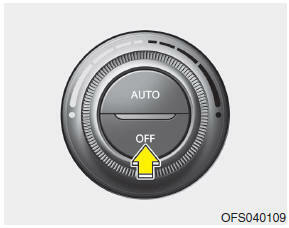 To change the fan speed, press ( ) the switch for higher speed, or push ( ) the switch for lower speed. 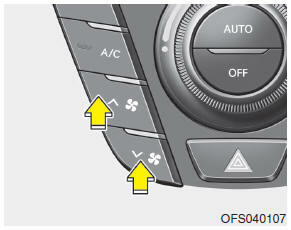 To turn the fan speed control off, press the front blower OFF button. 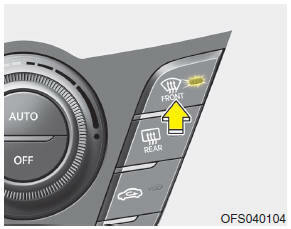 Push the OFF button to turn off the air climate control system. 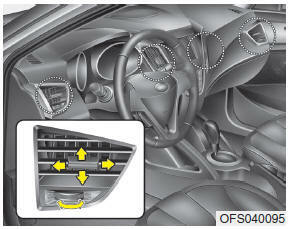 However you can still operate the mode and air intake buttons as long as the ignition switch is in the ON position. 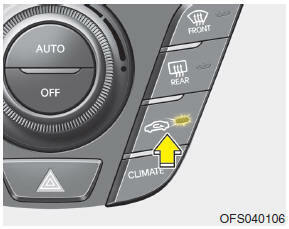 If you push the “CLIMATE” button, the climate information will be displayed on screen.